SMATS Group are the international market leaders in providing Australian Taxation, Finance, Property, Foreign Exchange and Migration Services to Australian Expatriates, Foreign Investors and Intended Migrants. The core of our business is our clients and our primary focus will always be providing honest, sincere service based on good old fashioned values. We consider our clients to be part of our extended family, so creating a lifetime relationship and ensuring they are always happy is what really matters. Celebrating our 20 year anniversary and winning multiple internationally recognised industry awards is testament to the value we place on quality service. The SMATS Group of companies provide a unique comprehensive and personalised service. We aim to reduce the fear and misconceptions surrounding Australian taxation obligations, mortgage assistance and Australian property investment. We will assist you every step of the way to achieve your goals, minimise risk and maximise your financial opportunities. Our focus is providing ongoing education, clearly communicated propositions and a smooth service, so that you feel confident and happy to proceed with our services. What makes SMATS Group unique? 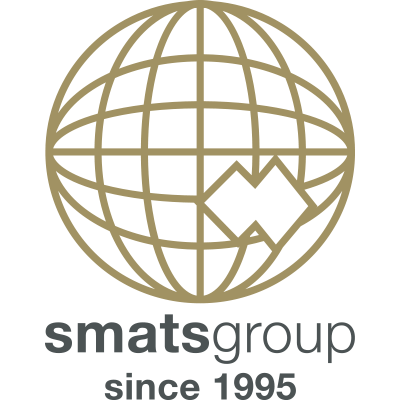 SMATS Group are the international market leaders in providing Australian taxation, finance and property investment services to Australian expatriates, foreign investors and intended migrants. No other company offers the range of services or has the global expertise and experience that we do. We have proven to be a trusted, well established global company providing quality service. We continue to grow our suite of services, satisfied customers and international presence. Available to all our valued clients including, Australian taxation, finance, property investment, foreign exchange and migration services to ensure clients have the knowledge and opportunity to maximise their financial potential. We promise to always deliver quality service. Our client centric approach to business and our company values based on integrity, sincerity and honesty have resulted in 70% of business coming from referrals. The co-founder and Managing Director of Australasian Taxation Services (1995) and Chairman of SMATS Services Pte Ltd. His area of taxation specialisation includes non-resident property investors, migration and expatriate taxation planning. A regular presenter on Taxation matters affecting property investors, expatriates and intended migrants, Steve has delivered seminars on behalf of many industry organisations and developers including the Real Estate Institute of Western Australia and Australian Chamber of Commerce Hong Kong. Steve has been featured in articles by the Singapore Business Times, South China Morning Post, Australian Entrepreneur Magazine, Benchmark, Western Australian Property & Investment and Property Link magazine. 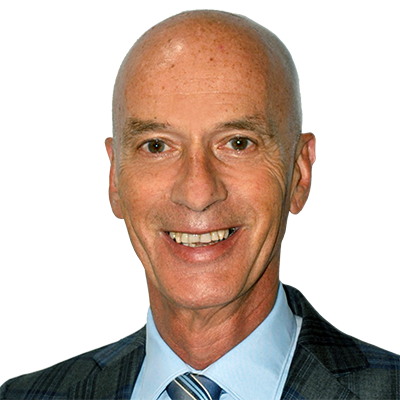 Steve began his career with Ernst Young in 1984 and established a private taxation practice in 1988 specialising in small business taxation and management. He is a Fellow of the Taxation Institute of Australia and a Registered Tax Agent. In 2009, Steve was recognised as one of the leading 50 Australians in Asia by Advance and invited to participate in the Advance Asia 50 Summit and in 2010 was awarded the Singapore Austcham Entrepreneur Award and in 2017 Steve was The Finders "Expatreneur Awardee 2017". Helen Avis is one of Australia’s leading Finance Brokers, having been awarded Top Flame Broker (St Georges Bank) in 2013 and 2014, being honoured as Flame Foundation Member at St Georges Bank and an ANZ premium Broker, as well at International Broker 2016 and 2017 in the Specialist Finance Group Awards. Her success is built on her ability to respond to client requirements promptly and professionally and go beyond the norm. 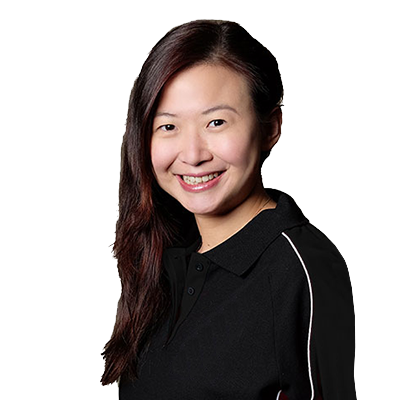 Having joined SMATS Group in 2003, Helen now holds the position of Director of Finance for SMATS Services Pte Ltd, the main holding entity of Specialist Mortgage, and also sits on the Board of a number of the company’s subsidiaries around the world. She is primarily responsible for managing and facilitating the lodgement and successful processing of all group lending activities and manages a team of 15 lending staff across the SMATS International operations. Helen has successfully completed her Diploma of Financial Services (Finance/ Mortgage Broking Management) and is a member of the MFAA as well as being the Licence Holder under the ASIC Australian Credit Licence for Specialist Mortgage. In addition she holds formal accreditation with most of Australia’s leading financial institutions including National Australia Bank, Westpac and St George Bank and has passed her UCCC Exam. 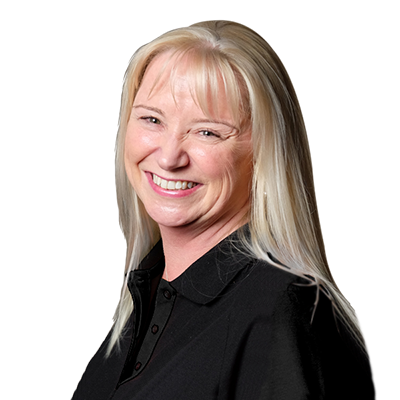 Helen has extensive lending experience, and has been involved in the Mortgage industry since 1989 when she became licenced under the UK FSA, as a Mortgage Broker and Financial Planner. Prior to this she was a Fund Manager for UK Equities for John Hancock International. She successfully operated her own business working throughout Europe, advising clients on Finance and Mortgages, until 2002 when she was recruited to relocate to Singapore. Soon after, she decided to concentrate on the mortgage aspect of her profession and took up a position with Specialist Mortgage where she remains today. Ravin is a director of the SMATS Group and manages the Singapore, Malaysian and Indonesian operations of Australasian Taxation Services. The SMATS Group is the operating arm for Australasian Taxation Services who, since 1995, has been managing the Australian taxation needs of approximately 20,000 expatriates and non-resident Australian landlords through its network of 11 offices worldwide. His area of Australian tax expertise includes non-resident property investors, expatriate and migration tax planning. Ravin is a regular presenter on taxation matters for expatriates and property investors and has presented on behalf of the Australian Chamber of Commerce in Shanghai, the SMART Property Expo exhibitions in Malaysia, Singapore and Beijing as well as to expatriates and investors in Ho Chi Minh, Hong Kong, Kuching, Kota Kinabalu and Dubai. Ravin is a Fellow of the Tax Institute of Australia and UCCC accredited with some of the major banks in Australia. As the Director of Technology, Taki holds a Bachelor of Applied Science in Information Science and is the driving force behind the strategic technical direction for the company. Taki has held a range of senior positions including programme manager of the web development division for an energy company and technical architect for a mining company. With 20 years information technology industry experience, he has worked in many industries including mining, manufacturing, energy, finance, and health for both the public and private sector. Taki has an extensive background in software delivery and brings to the company key expertise in project management, business & systems analysis, and delivery of cloud based solutions. 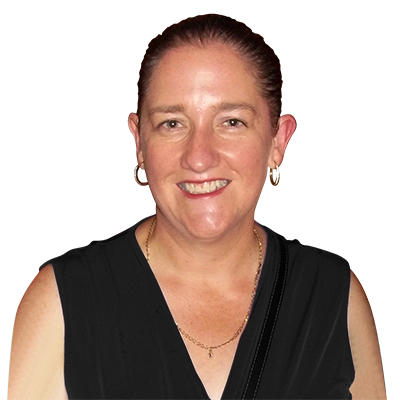 Linda is the Director of Australasian Taxation Services Pty Ltd and Manager of the Perth office. Her core responsibilities involve managing our business clients including companies, trust, partnerships, self-managed superannuation funds, ASIC Compliance, bookkeeping, and payroll. In 2018, Linda was promoted to a Fellow Chartered Accountant after being nominated for the advancement by her peers in the accounting industry as recognition of her outstanding achievements and contributions to the profession and to the community. Earlier in her career, Linda completed the Chartered Accountants Professional Program and has been a member of the institute of Chartered Accountants since 2000 as well as a member of the National Tax and Accountants Association. Linda holds a current Public Practicing Certificate with the Chartered Accountants of Australia and New Zealand, as well as a Bachelor of Commerce with a double major in Accounting and Taxation, a Certificate IV in Financial Services in Finance and Mortgage Broking, and an Associate Diploma of Business in Accounting. Linda is a Registered Tax agent with the Tax Agents Board since 2003 and a SMSF Auditor registered with ASIC. Prior to SMATS Group, Linda had experience as a Senior Accountant and Super Fund Auditor at a Perth firm. In 2003 Linda joined SMATS Group Singapore as an Accountant and Mortgage Broker. Linda and her husband Jason, who is also part of the SMATS team, then moved to London to establish the London office where she specialised as a Mortgage Broker. Linda and Jason attribute their success in growing the client database from 100 to 2000 and establishing a full time office within 6 years, to their relentless hard work and true passion to always surpass their client’s needs. Linda and Jason returned to Australia in 2008 to establish the Perth office and build the Australian SMATS client database. They have raised 3 beautiful children which they describe as their most exciting and enjoyable challenge! Linda’s energy is what makes her unique. Simon jokes that as a child he loved maths and magic, so he combined both his passions and became an Accountant. He is recognised for his attention to detail and client focus, which he attributes to the importance he places on understanding his client's unique circumstances and building long term relationships. 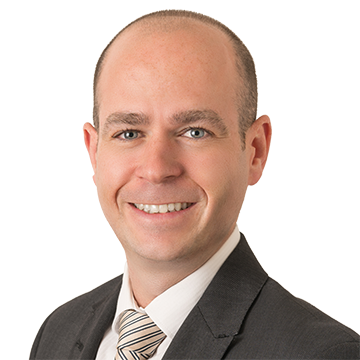 Simon has successfully completed his Bachelor of Commerce, is a qualified Chartered Accountant, holds a Diploma of Financial Planning, is an accredited SMSF Specialist, Registered Tax Agent, holds a Certificate of Public Practice with ICAA and is a Justice of the Peace (JP). Simon holds the position of Australasian Taxation Services Director Sydney. He is responsible for managing the Sydney ATS team, forming entities such as trusts, companies and self-managed superannuation funds, and preparing taxation returns for foreign and recently repatriated clients. His previous experience includes public practice, running his own successful business as well as working internationally for the SMATS Group in London. 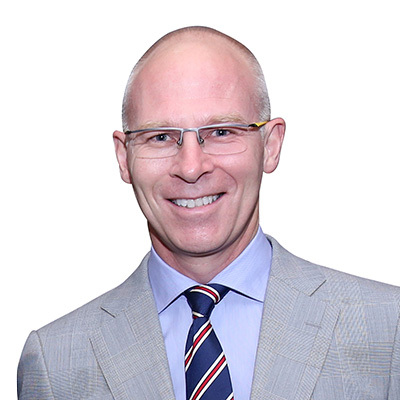 Simon’s professional speciality is in Family Groups and structuring – which typically combines the interaction between taxation, accounting and ASIC matters for high wealth individuals and their trading companies, family trusts and self-managed superannuation funds. This is achieved by ensuring the clients overall financial objectives are attained through asset protection, income splitting and tax planning, and optimum investment or trading vehicles. His passion for helping others is demonstrated through his extensive commitment to Charity work over the past 12 years in both Australia and London. He has donated his expertise in the capacity of Honorary Treasurer and as a Volunteer assisting the aged care and homeless community. 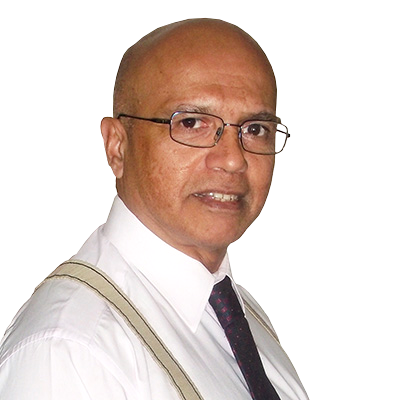 Garry is the Managing Director of SMATS Wealth Pty Ltd and veteran of the Financial Planning Industry with more than 40 years experience. Amongst his many experiences is a 7 year stint in Hong Kong with the resulting benefit of a unique understanding of the financial planning needs of Australian Expatriates. 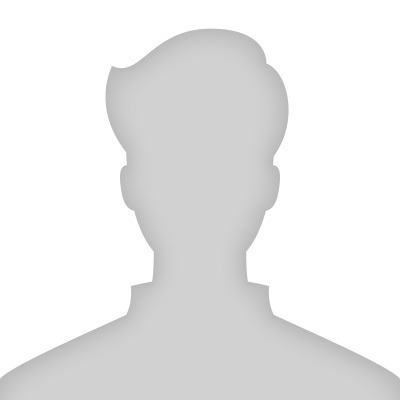 Garry is known for his knowledge, attention to detail and friendly nature and welcomes you to contact him for a chat. As General Manager, Matt is responsible for developing and executing improved strategies to deliver continual enhancements across all business entities and international offices, with the primary vision to maintain SMATS Groups position as international market leader and ensure the quality of our services to our valued clients and partners. 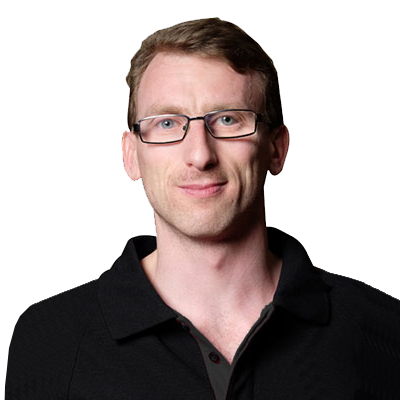 Matt works closely with all stakeholders to identify new business development opportunities. 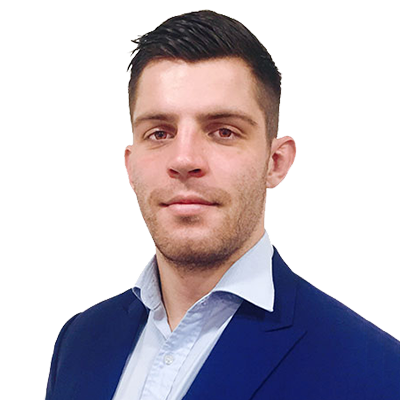 Matt returns to SMATS Group, after previously establishing the Dubai office as the Operations Manager. As a 15 year Australian expat, SMATS client and shareholder, Matt successfully self-funded his retirement back to Australia aged just 45. Coming out of retirement, Matt brings an incredible wealth of knowledge and experience to ensure other Australian expats optimise their financial opportunities. His previous experience has been in highly specialised and technical project engineer and management positions, working on multi-million dollar equipment for the Australian Air Force and one of the largest airline companies worldwide. Matt was recognised and awarded for developing technical training programs for engineering personnel. He also established new international standards for specialised technical personnel training and qualifications within aviation flight training. 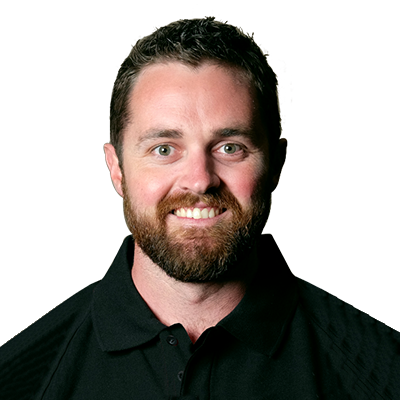 Aside from Matt’s passion in financial investments, he is known to be meticulous, energetic and client focused. He loves camping in Australia and travelling abroad. He also loves the ocean and is an enthusiastic ocean sailor, surfer and kite surfer. Jason is the Senior Taxation Accountant in our Perth office, specialising in individual client’s taxation affairs and non-resident issues involved in moving to and from Australia for expats and arriving migrants. Jason has a Bachelor of Business with a double major in Accounting and Finance and is a Fellow Member of the Tax Institute of Australia. Jason has 20 years of experience as an Accountant, working with clients in their day to day accounting and tax requirements, which has given him a detailed understanding of client’s needs and how he can make the most of their financial obligations. Jason also has experience working in Accounting and Financial Planning practices as a Senior Accountant of Self-Managed Superannuation Funds. 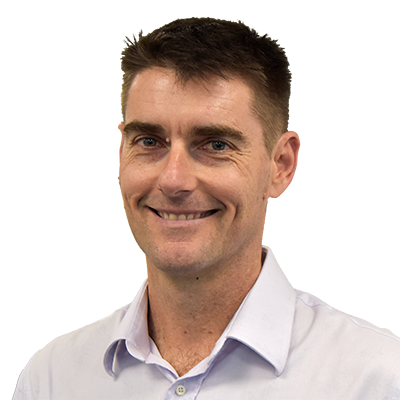 SMATS Founder, Steve Douglas, and Jason have worked together intermittently since the early 1990s and after crossing paths once again in 2002 Jason joined the SMATS Group as the Senior Accountant in Perth, before moving to the Singapore office. Upon being promoted to Director of Tax Services London and given the responsibility of establishing the London office, Jason and his wife Linda, also part of the SMATS Team, moved to London. Jason and Linda attribute their success in growing the client database from 100 to 2000 and establishing a full time office within 6 years, to their relentless hard work and true passion to always surpass their client’s needs. Jason and Linda returned to Australia in 2008 to establish the Perth office and build the Australian based client database. They have raised 3 beautiful children which they describe as their most exciting and enjoyable challenge! Jason feels privileged to meet so many great individuals during his global career and looks forward to continually doing so in the future. 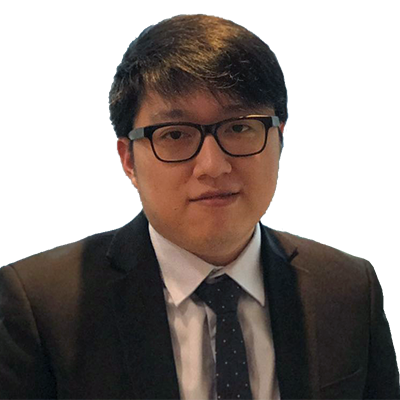 Pau is our Australian Taxation Executive in China and provides specialised annual income tax return preparation, tax advice and tax planning services to expatriates, non-resident property investors and intended migrants to Australia. Pau graduated from Macquarie University with a Bachelor of Commerce - Accounting Major. He joined SMATS Group as a Tax Executive based in our Hong office, where he successfully established an outstanding reputation, achieved client growth and became a recognised presenter on tax matters. In 2017, Pau transferred to Shanghai where he has been instrumental in expanding our business across China and establishing our offices in Shanghai and Beijing. With a unique understanding of Chinese and Australian tax regulations, Pau is an expert in providing practical solutions to enhance expat clients tax effective position to minimise their financial situation upon repatriation to Australian, as well as communicate Australian tax obligations and opportunities that exist for expats and investors. Mick is an Australian Tax Accountant specialising in providing Australian expatriates, non-resident property investors and intended migrants with annual income tax return preparation, tax advice and planning. Mick successfully completed his Bachelor of Commerce (with distinction) majoring in Accounting, Finance and Financial Planning from the prestigious Deakin University. He is also a full member of CPA Australia. Mick joined SMATS Group in 2009 as a Tax Accountant and was quickly promoted to manage the UK Tax division. His professional dedication and commitment to exceeding client expectation’s, ensued a further promotion in 2012, where he also relocated from London to the Dubai. Mick currently manages both the Dubai and London office tax divisions. Prior to his international career with SMATS Group, Mick worked at a major accounting firm in Victoria Australia. Diana is primarily responsible for overseeing the taxation preparation and advisory of the growing Singapore team. Diana was quickly promoted to Tax Consultant based out of our Singapore Headquarters, after initially being employed by the SMATS Group in 2004 as a Taxation Executive. Diana holds a Bachelor of Commerce with an extended major in Accountancy and is a member of the Taxation Institute of Australia. Diana is also currently participating in the Certified Practising Accountants Australia Professional Program. 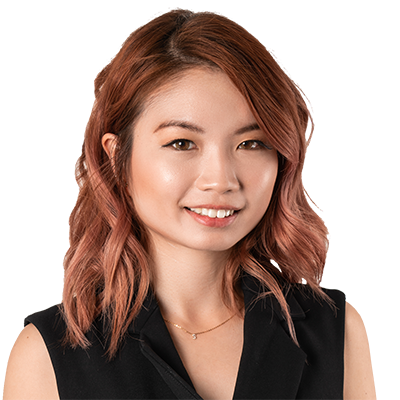 She enjoys reducing client concerns and misconceptions surrounding Australian Taxation obligations and communicating the benefits and opportunities that exist. Diana loves to provide constructive solutions that will place clients in the best tax effective position to maximise their financial situation upon repatriation to Australia. Helen has a Bachelor of Commerce majoring in Professional Accounting and is a member of the Tax Institute. Prior to joining SMATS Group in 2008 as an Australian Tax Consultant, Helen had previous experience in a Perth CPA firm. 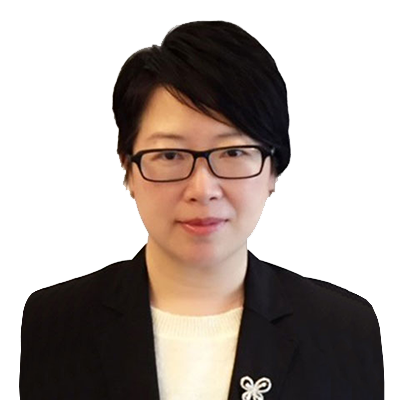 Helen has been instrumental in establishing SMATS Group Hong Kong office and has increased the client database, developed new quality standards for improved performance and built a strong rapport with her clients. In addition to her responsibilities at SMATS Group, Helen also volunteers time as a dog walker and provides translation services. Jenny joined SMATS Group upon completing her schooling, as our office junior. 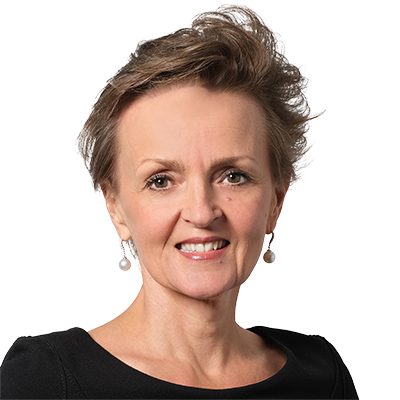 Her knowledge of the Australian taxation system has grown from working under the guidance of some of our most successful Australian taxation executives and directors, including Mick Outridge, Jason Lawrance and Linda Lawrance. As the Tax Consultant of our UK office, Jenny is primarily responsible for ensuring our UK based client’s Australian taxation requirements are met. Jenny is also responsible for all the administrative and operational duties in the United Kingdom. As well as being reliable, dedicated, organised and friendly, Jenny is a keen baker and cake decorator. And enjoys treating family and friends to her delicious creations on their birthdays. 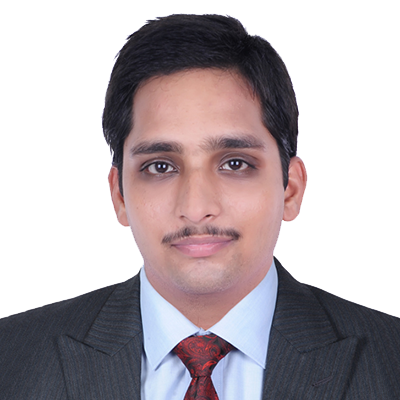 Jitendar is our Australian Tax Assistant based in our Dubai office. Working closely with our Senior Tax Accountant, he is primarily responsible for preparing annual income tax returns for Australian expatriates, non-resident property investors and intended migrants to Australia. Jitendar holds a Bachelor of Commerce and has international experience assisting with income tax returns, business registrations as well as audit & assessment for individuals, partnerships and companies across a diverse range of industries. He is organised, honest and pro-active and has built a reputation for his outstanding time management and problem-solving skills. Jitendar is proud to have achieved his dream of working abroad and expanding his global expertise. Bridget is our Senior Finance Executive for the Middle East Region. Bridget graduated from the prestigious Deakin University with a Bachelor of Law (with distinction) and completed her Diploma of Financial Services. As a Licenced Australian Finance Broker, Bridget is an expert at arranging and renegotiating finance for Australian expatriates, foreign investors and intended migrants seeking to purchase Australian property. Bridget commenced her career as a Finance Executive at SMATS Group in 2009. She achieved outstanding results and within 3 years was promoted to Senior Finance Executive in Dubai and now manages the Finance Division for the Middle East Region. 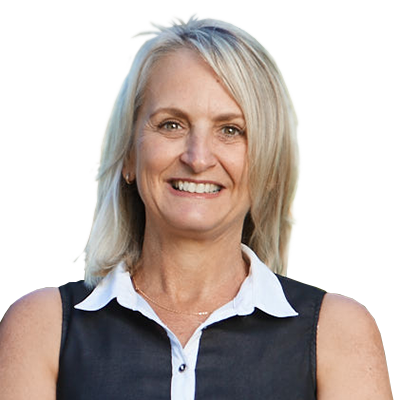 Bridget has a wealth of experience and expertise in non-resident lending and understands the challenges that foreign property investors encounter. Bridget is focused on understanding her client’s individual circumstances and goals and is passionate about delivering the best finance options possible. Her focus on creating long term relationships has resulted in outstanding client referrals. Debbie Perkins is our Finance Executive for clients located in the USA and UK. Debbie has a Diploma of Finance and Mortgage Broking Management and more than 20 years of international experience working for some of the largest companies located in the UK and Hong Kong. Debbie joined SMATS Group in 2007 initially in our Hong Kong office, before relocating the US. Debbie quotes her “passion for helping clients and always aiming to exceed their expectations” as the key to her success and this is evident in her exceptional client referral rates and outstanding testimonials she receives. Debbie is conscientious, passionate and friendly and her strong desire to help people lead her to Uganda in 2007. With her fundraising and volunteering efforts Debbie built classrooms and donated school supplies for a Ugandan orphanage specialising in caring for HIV affected children. Debbie also participated in the Avon Breast Cancer Walk 2013 and contributed to the US$10M raised. Jules joined SMATS in 2014 and is responsible for managing marketing, events and communications for the SMATS Group of companies, including aussieproperty.com. She is also responsible of the sales management of the aussieproperty.com team. Jules holds a Bachelor of Commence with a double major in Marketing and Management and a minor in Business Law. She has a Professional Diploma in Digital Marketing, is an accredited DISC ADVANCED® trainer and has studied AchieveGlobal (Professional Sales Skills) and rogenSi (Applied Leadership and Sales Execution). Jules has built a successful sales and marketing career working for some of worlds largest and most prestigious companies across a diverse range of industries. Her discipline to achieve results, strength in strategic execution and expert communication skills are recognise through her outstanding company achievements and numerous national sales awards. She loves working with people and appreciates the companies family culture. In her spare time Julie loves spending time with her family and friends and enjoys anything to do with basketball. 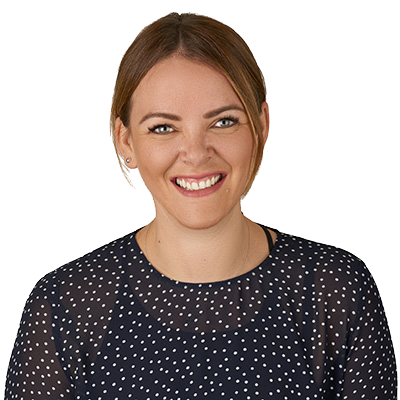 As Contract Administrator and Developer Liaison, Jo is responsible for working closely with Australia’s largest developers, completing due diligence for international legal compliance, collating and distributing marketing collateral to our global sales team, completing all aspects of contract administration and updating our websites, just to mention a few tasks. Jo is credited for her meticulous attention to detail, ability to liaise with a wide spectrum of stake holders and outstanding communication skills, which she has developed throughout her career in the banking and property sectors. With almost two decades experience in the Australian property industry, Jo initially worked for a company that provided a niche service to international executives relocating to Australia. It is here that Jo acquired expert skills and understanding in assisting overseas professionals to find and settle into their new homes. Jo was also instrumental in establishing the residential sales and leasing team at a well-known Perth commercial and industrial real estate company. With Jo’s assistance the company exceeded their leasing departments KPIs and became exclusive selling agents to one of Perth’s largest developers, selling large scale projects in East Perth, Leederville and Subiaco. Allen Habbouchi joined SMATS Group in 2017 holds the position as - Head of the Project Sales and Distribution for aussieproperty.com. He is also a Licenced Agent and the Licensee of our aussieproperty.com Sydney Office. 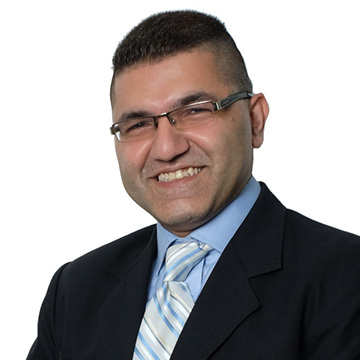 His career in Real Estate began in 1999 upon completing his business Diploma in Real Estate and obtaining his Licence in 2000. He has successfully operated his own Property Sales company since 2013 and has been responsible for assisting over 1,000 property investors acquire premium opportunities across Australia. Allen’s skills extend beyond traditional real estate sales to specialised project marketing where he assists developers to identify paths to maximise the results for both the buyer and seller. This win/win attitude is a key point of difference in his business practice that has seen him become a leader in the property industry. His sincerity and passion for his role has seen him create long lasting relationships, such as that with SMATS Group, where he was a key partner since 2005 before making the step to join the senior management team and take his expertise to a larger international market. 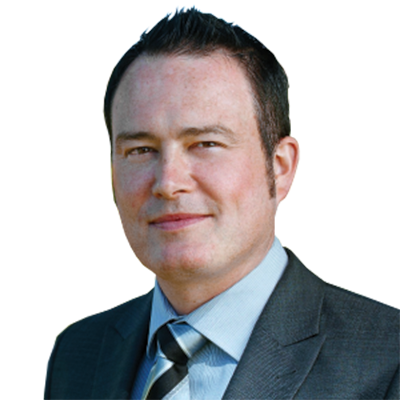 Paul White is a third generation real estate agent who specialises in the sale and management of Perth property. Paul's real estate career started in 1993 when he began working for his family owned company "Clifton White" located in the Western Suburbs. It was here Paul earned a solid reputation for honest, reliable and effective service as enjoyed by his countless number of clients. Paul went on to become a partner and director of the firm and continued to enjoy success with his late father up until the company was sold in 2008. From here Paul worked for a small number of boutique firms in the Western Suburbs building strong client relationships and cementing himself as a well respected member of the real estate community. Paul is now the Director & Licensee of aussieproperty.com Perth and has taken his sphere of influence and local knowledge to a global audience. Having contacts in all corners of the globe Paul is able to assist clients from all walks of life nationally and internationally to secure their "piece of Australia". If you would like assistance with any real estate matter then please give Paul a call for a confidential no obligation chat. He's always happy to help. Laura is the Licensee of our Melbourne office, working closely with the Senior Consultant for Client Services and managing a team of property managers. Laura is highly regarding for delivering strategic client advise which she attributes to her expertise in using a range of real estate software, coupled with her knowledge of current market conditions and local area information. 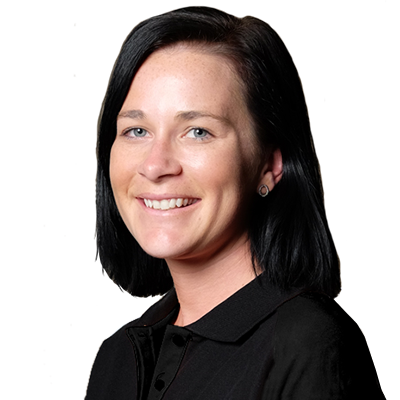 Laura’s career has been dedicated to providing property management services in the region of Melbourne, Australia and she has developed an impressive skill set in ensuring both Australian based and International landlord’s properties are performing effectively. As a qualified and experienced Senior Property Manager, Laura’s passion for providing outstanding service to tenants and landlords is displayed through her exceptional communication, attention to detail and promptness to complete all tasks. 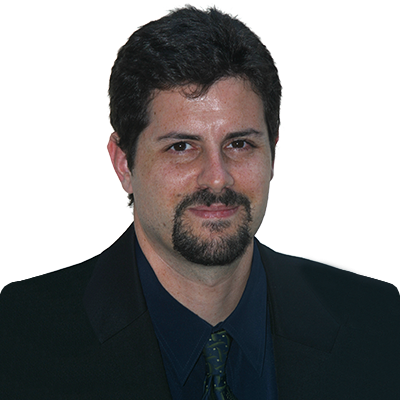 Glenn is our Consortium Manager and has been involved in Australian property since 2000. Glenn’s primary role is to work closely with our joint venture partner and offer assistance to clients interested in participating in our syndicate projects opportunities. Between 2000 - 2008 Glenn was a property investor who built his personal property portfolio through focusing on higher yielding properties, blending them with multi-currency loans and ultimately selling them with capital appreciation. Since 2008 Glenn has been an active property developer, specializing in boutique infill sites delivering over A$50M in projects through syndication structure. Glenn has developed sites in Brisbane, Airlie Beach, Gladstone and Sunshine Coast, Perth, Karratha and Bunbury. Glenn welcomes you to contact him to discuss anything related to our Consortium or property development. 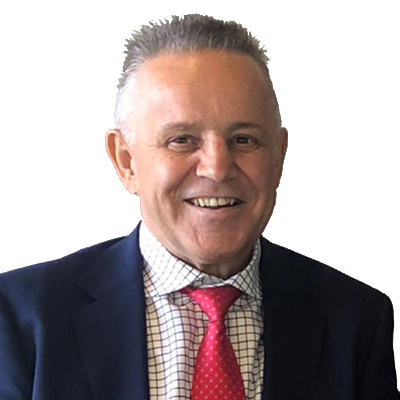 Steve Janes is an Australian Property Consultant for aussieproperty.com in Victoria, having joined us as a part of our property business launch team. He began his real estate career in the UK with special focus on delivering customised real estate strategies for sustainable property investment, before moving to Australia in 2009 to enhance his global expertise. 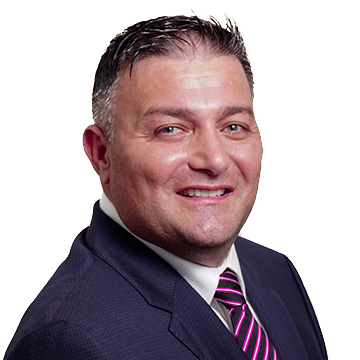 Possessing high levels of local and international knowledge and proven success in residential sales and property management, you can be confident that Steve has the professional expertise and dedication to ensuring strong results and advice for his clients in Melbourne. Norbert joined SMATS Group in 2007 and heads up our Migration Team based in Dubai. With over a decade of experience in Migration services for people moving to Australia, Norbert is well placed to assess the merit of your potential relocation and assist with all aspects of the application through to successful completion and acceptance into Australia. Having lived in Dubai since 1975 he is very familiar with the issues facing those living in the Middle East and how this may impact on their intentions to find a new home in Australia. 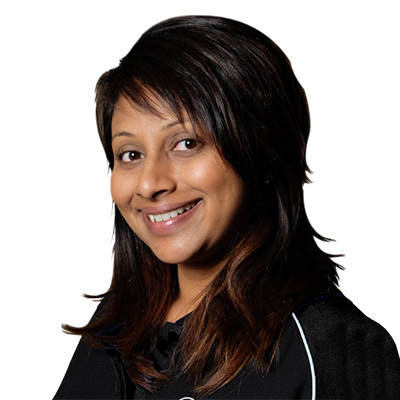 Shayanee is our Finance Executive and Australian Property Consultant, with over 9 years of experience in Australian property within the Malaysian market. Shayanee also manages all operations and services from the Malaysian office. 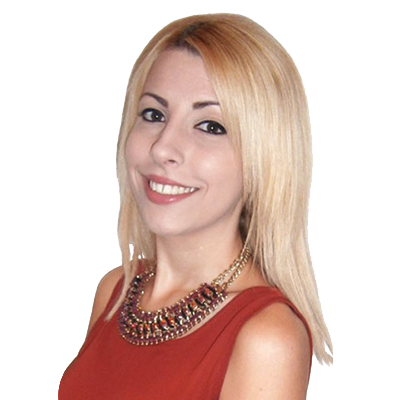 Shayanee is passionate about Australian property and enjoys studying property developments to present clients with products offering the best opportunity to suit their individual requirements. Shayanee is dedicated in seeking the best finance options available to ensure clients are fully confident in the product they purchase and comfortable throughout the process. Martin Vockler is the Regional Australian Property Sales and AussieAssist Specialist, based out of our Singapore Headquarters. Martin is also responsible for assisting the growth and development of the Aussie Property team. With more than 20 years international experience in the property industry, Martins impressive career has included positions in Singapore, Malaysia and Australia. 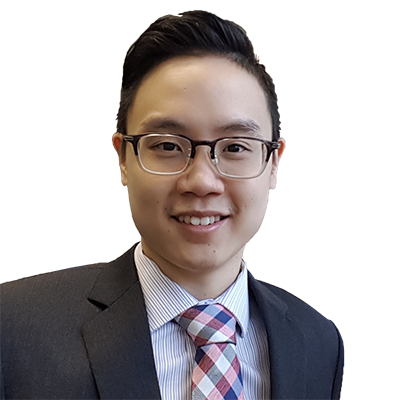 Martin is a licenced Real Estate Agent in Australia (NSW License No 279543) and a Singapore Real Estate Sale Person (RES 201301032) with experience in retail, commercial and industrial sales and leasing, property management, auctioneering and residential and project sales. Martin understands that overseas buyers may find purchasing Australian property difficult without the right assistance and has noted that foreign investors can also be very decisive and may not be prepared to wait long periods of time looking for to purchase property. Numerous client testimonies commend Martins invaluable international expertise and reputation for uncompromising professionalism. His meticulous attention to detail and relentless search to secure well purchased Australian Property for his clients has resulted in outstanding client referrals. Martin has a reputation of providing superior customer service to clients buying and selling Australian Property and has achieved remarkable results that have exceeded expectations. Kane is the Aussie Property Consultant based in Hong Kong and assists clients in securing their piece of Australia, whether that be an investment property or the next family home. 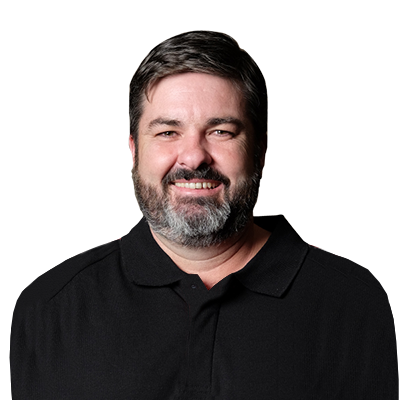 Kane has a Bachelor Degree in Business Management - Real Estate and Development from the University of Queensland and has a Queensland Real Estate Sales License. 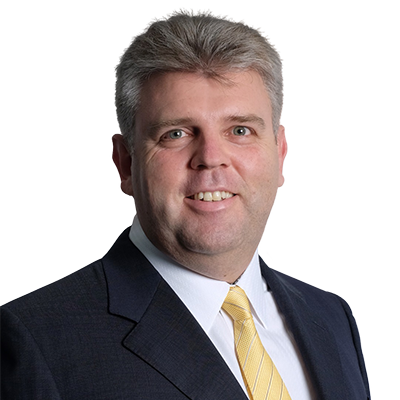 It was playing rugby for Hong Kong Scottish that facilitated Kane to join Aussie Property, a division of SMATS Group, in 2015. Prior to his move to Hong Kong, Kane worked for one of the largest Real Estate firms in Australia and has extensive experience in Commercial Leasing and Sales. What drives Kane in this profession is his passion to help clients find their dream home or purchase an investment property in what he believes is the best country in the world. Kane’s desire to help people and his strong interpersonal skills has also lead him to be involved in helping raise approximately A$40,000 over 2 years for Brisbane Youth Services, a charity that assists disadvantaged and homeless youth. 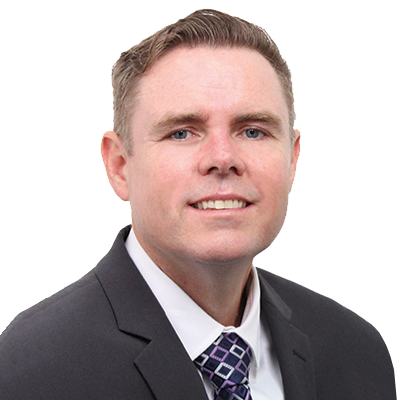 David McElwain, an awarded property manager with over 20 years’ experience in both Sydney and Singapore heads our property management division in Sydney. As a property investor himself, David is fully aware of the requirements and fears faced by overseas based investors and local landlords. He is committed to offering our clients a Property Management service which will remove stress and uncertainty and ensure both clients, properties and tenants are treated with care and respect to ensure a productive, profitable and trouble-free environment. He is an excellent negotiator and communicator and is fully conversant with New South Wales statutory requirements and legislation. If you have investment properties in Sydney and are looking for an improved standard of service based on old-fashioned quality, David will be happy to help discuss your requirements and set things up for you to ensure your ongoing satisfaction.